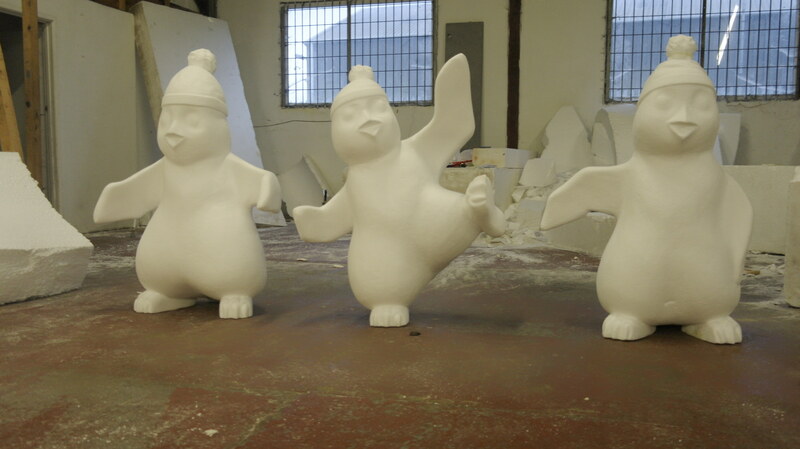 Brief: The brief was to create 3 fun / friendly looking penguins for a Winter Wonderland , to be used as props during the festive period and for many seasons to come. The penguins had to be strong enough to with-stand attention from children & to be moved around when necessary. 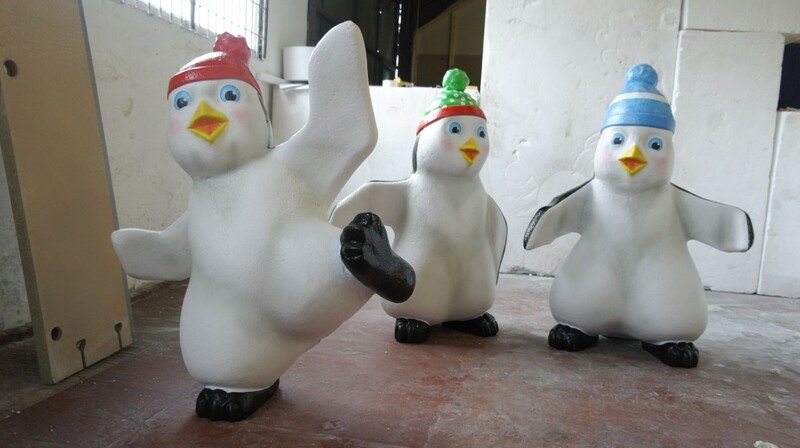 Each penguin was individual and customized to our clients request. 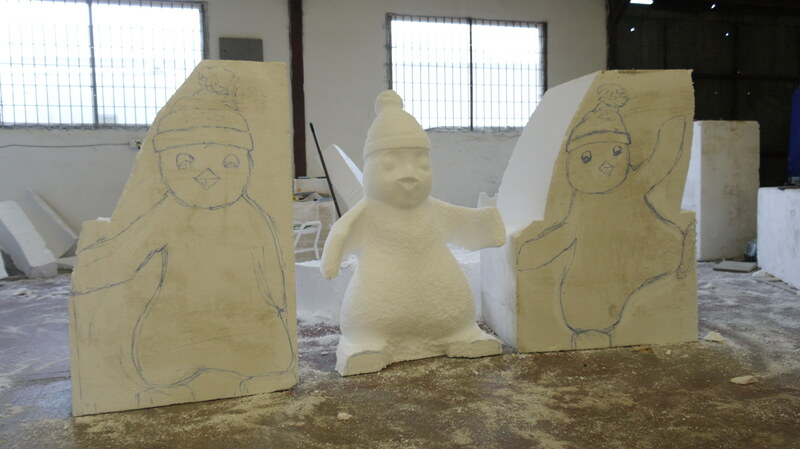 Step one: We carved the initial shapes of the penguins, each in a different position out of low density polystyrene. Then we sanded any imperfections and fitted weight support in to the penguin’s feet to ensure stability. 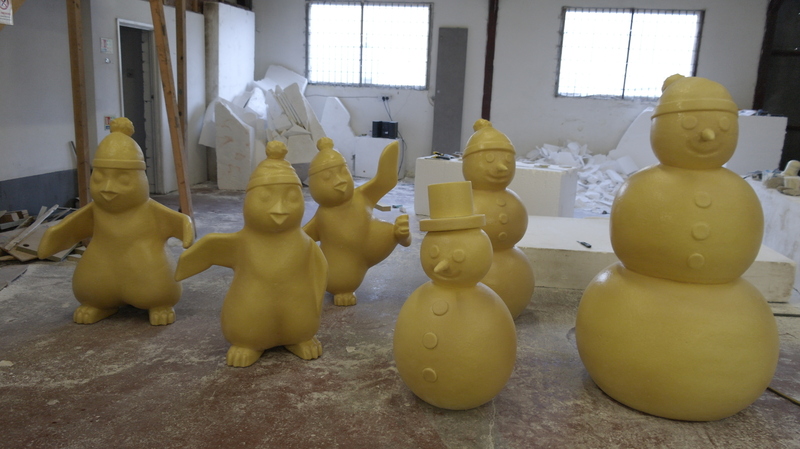 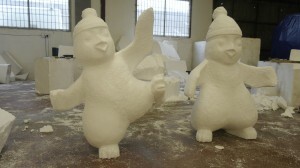 Step 2: We spray applied hard coating polyurethane to the Winter wonderland creations. This application makes the sculptures extremely durable + water proof. 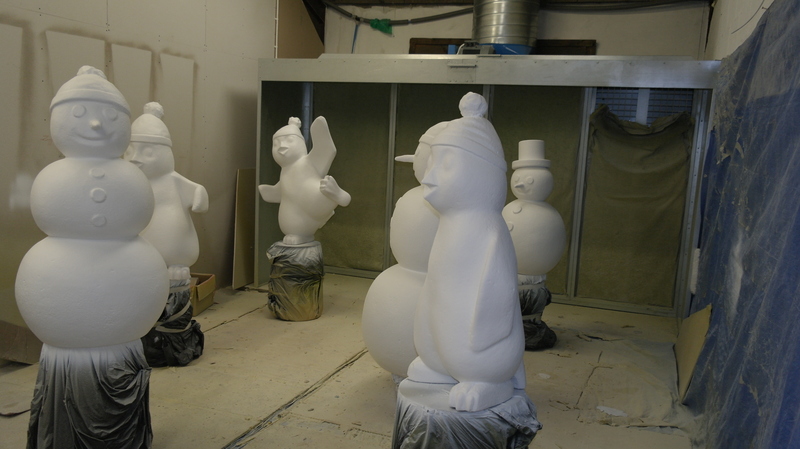 Due to the high -tech performance of this application we were able to apply the first base coat within minutes. 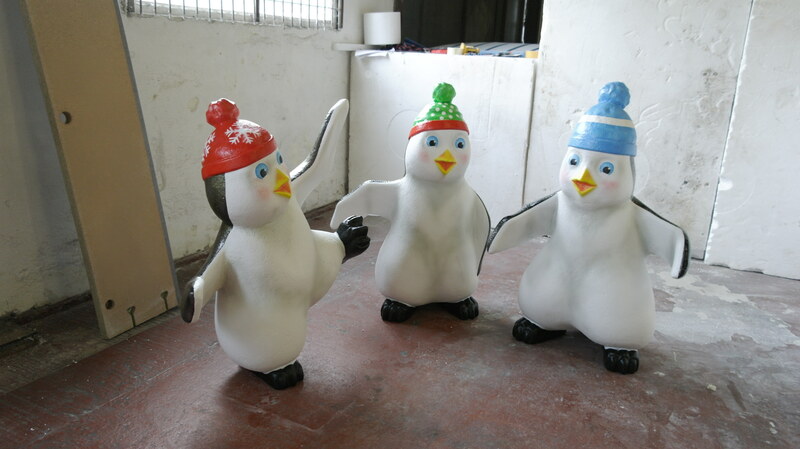 Final step: Once the base coat was dry, we airbrushed the penguins to the desired colors, made their jackets glittery black. Added all of the final details according to our clients request.